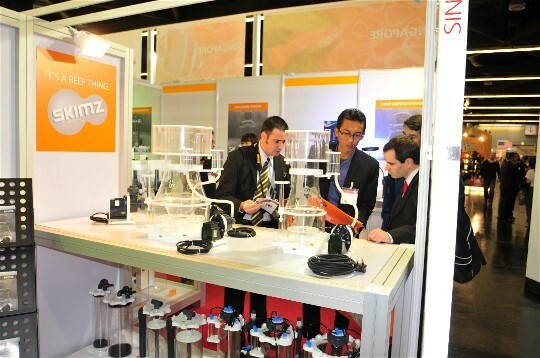 Ado explaining the Skimz Leopard skimmer’s inverted cone. 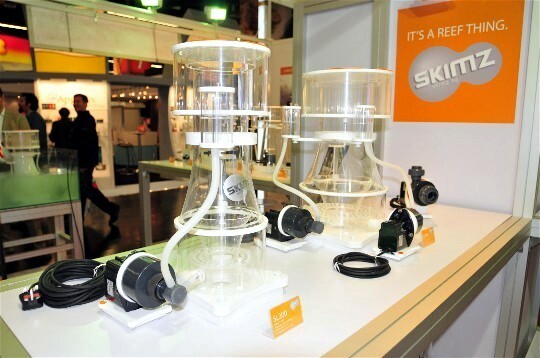 Skimz Internal Protein Skimmer, Monzter-series SM121, SM161, SM251 and Kone-series SK181 and SK201. 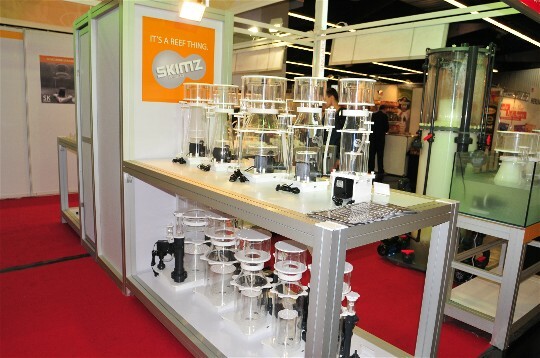 Skimz External Protein Skimmer, Monzter-series SM122, SM162, SM202, SM252 and SM302. 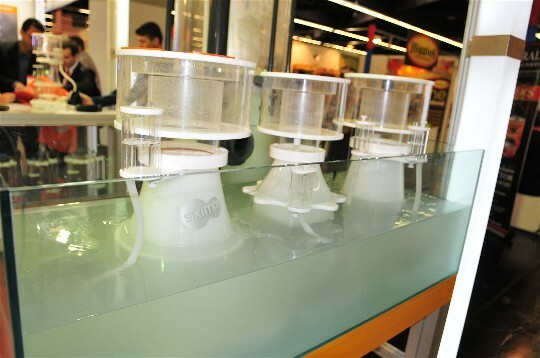 Skimz Monzter-series and Kone-series Protein Skimmer. 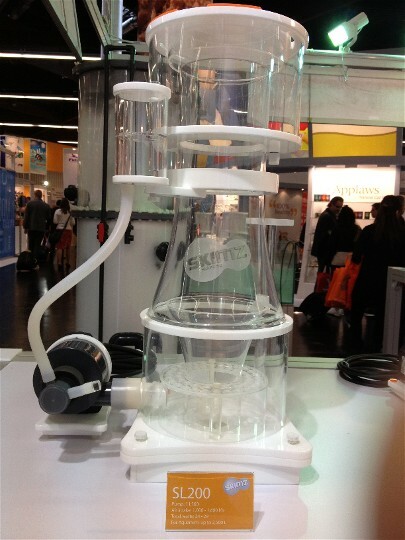 Skimz Hang-on Protein Skimmer SH1 adn SH2. 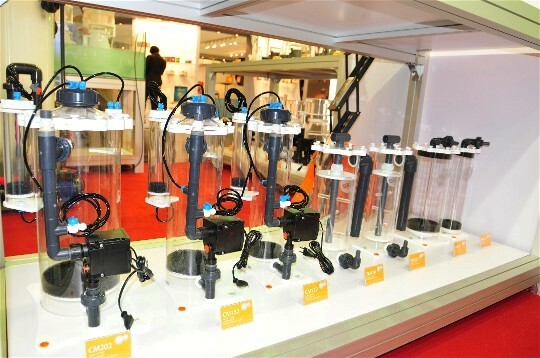 Skimz SH1 is an internal skimmer using magnetic mount and SH2 is mounted externally. 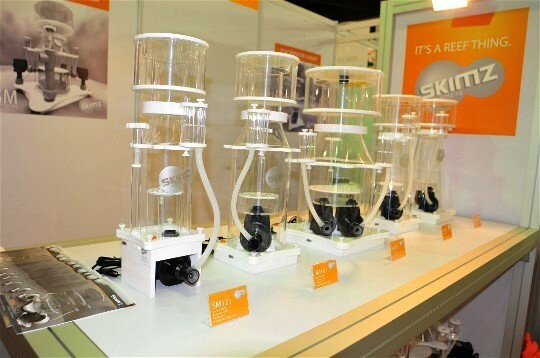 Skimz Calcium Reactor CM122, CM152 and CM202. 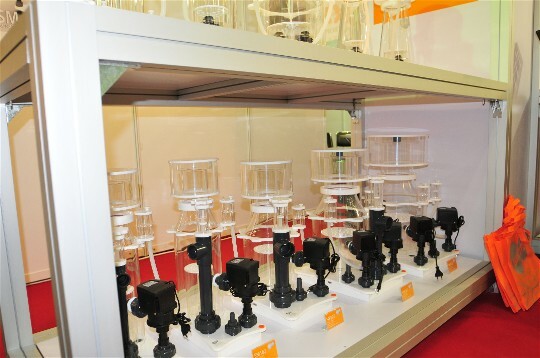 Skimz Zeolith Reactor ZM120 and ZM150; Fluidised Reactor FM100 and FM150. 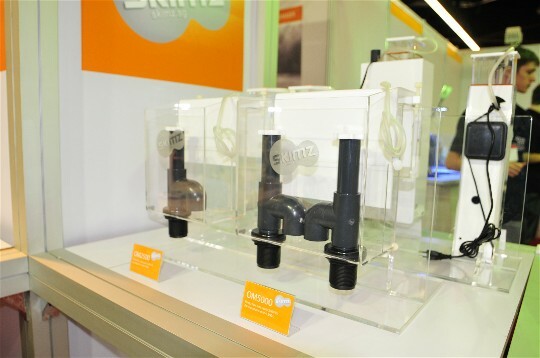 Skimz Overflow Box OM2500 and OM5000. Skimz iBox nano tank, IB20 and IB8. 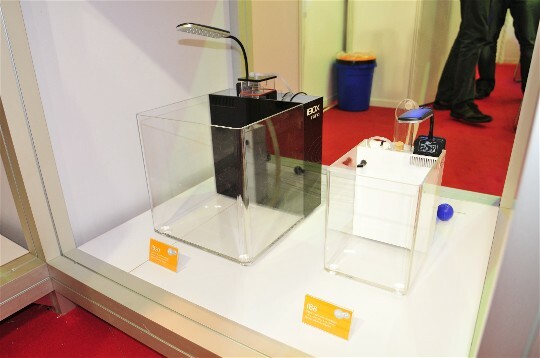 Skimz Leopard-series SL200 and SL300. 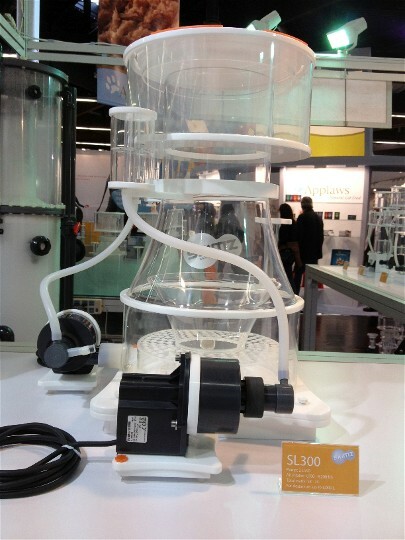 Skimz Leopard SL200 using one Askoll LS6000 pump, for aquarium up to 2,500 L.
Skimz Leopard SL300 using two Askoll LS6000 pump, for aquarium up to 5,000 L.
Ado of Skimz setting up the protein skimmers for display tank. Skimz Leopard SL250, Monzter SM201 and Kone SK251.